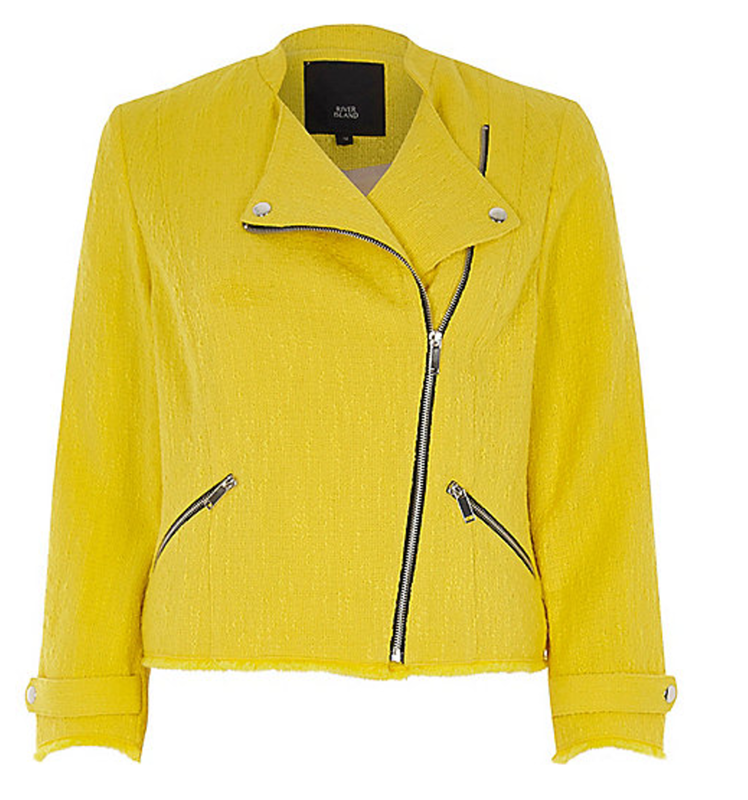 Zara Summer Jackets – It’s Sale Time! And so I found myself over in High Wycombe this afternoon as it was my only location, apart from heading into London, to return some shoes to a store. And as you do I found myself in Zara. If you are looking for an affordable stylish jacket, be it for summer or winter, Zara is where you should always head to first. They are renowned for having a wide choice and they rarely break the bank. So whilst I was in there today, I thought I would try a few on for you. I super keen on the red one, it’s £29.99 – I didn’t buy it, but I’m certainly still thinking of it… hmmm we’ll have to see. 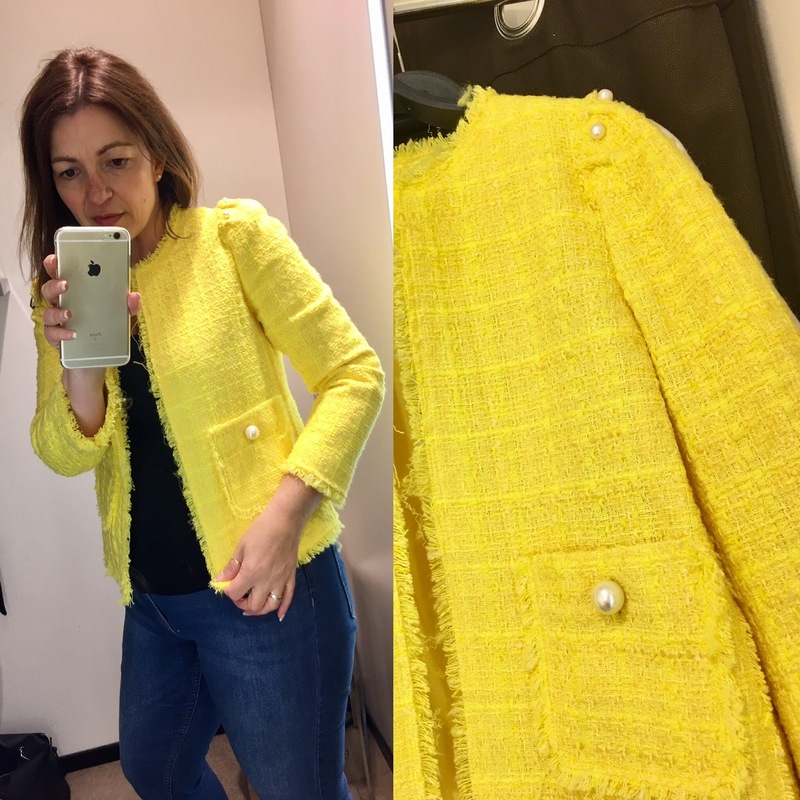 So starting with this gorgeous yellow jacket, I’ll be honest it’s not my colour, it doesn’t suit me, but if you had jet black hair and super pale skin, I think this would be fabulous. I love the detailing of the pearls, it just gives a it a little something. I did also spot this one in River Island, which I didn’t try on, but if you wanted something more biker looking rather than tweed style, this is a good alternative – not in the sale though! 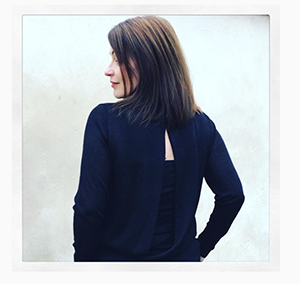 The remaining three are not available online at Zara, so if you love them you’ll need to head into a store this weekend, as the shop assistant already said, once they are gone, they are gone – all stock is out on the floor! I know this as I wanted to try a larger size in the red one. 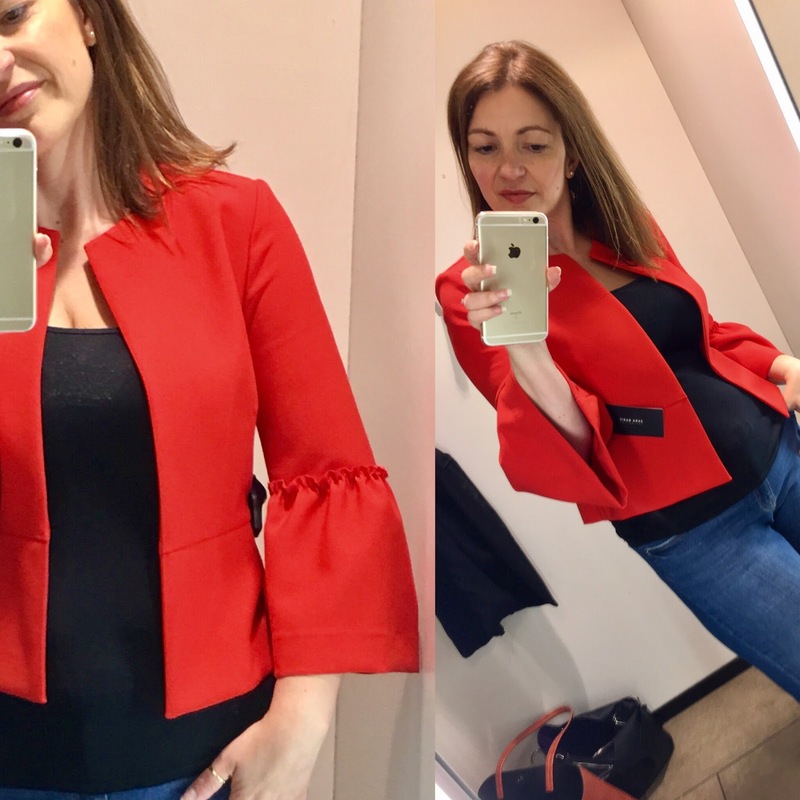 All jackets I tried on were between £29.99 and £39.99 – quite frankly a bargain! 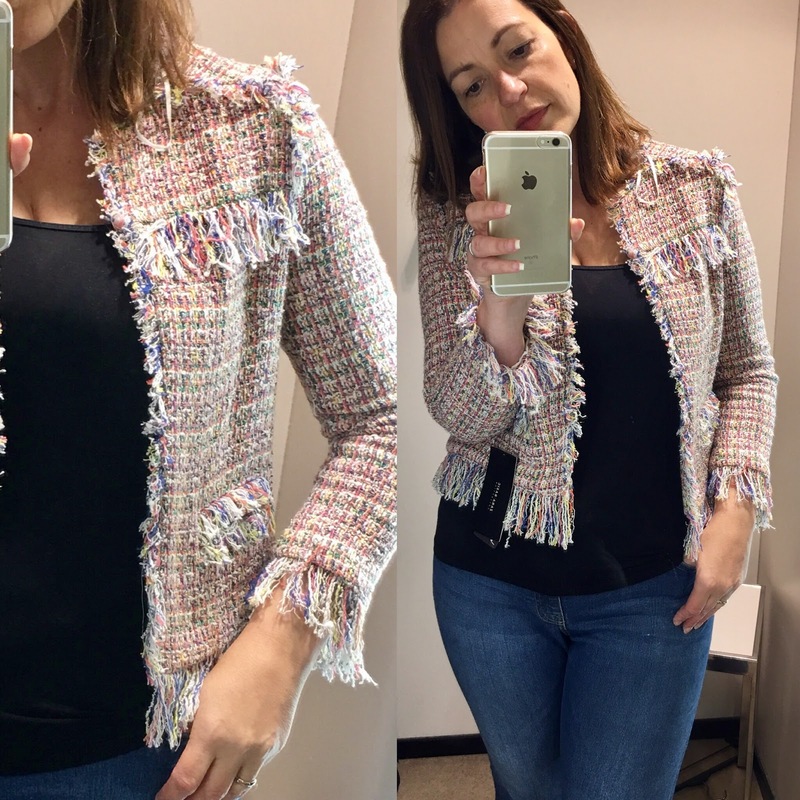 This pink and blue tweed was all about the fringe, it’s personally not for me; it would look fabulous with a white vest and white jeans to make it a real statement piece. 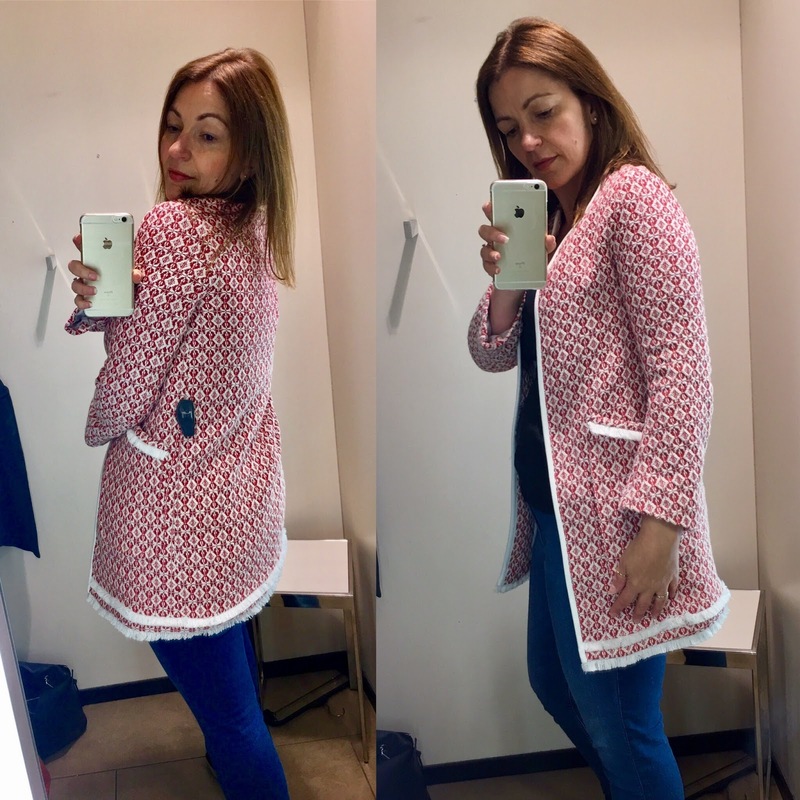 This gorgeous red and white long coat I was keen on – the pocket detail was lovely and this would be great for the office or if you needed to dress up for a weekend event. They didn’t have my size in store, and I have to say, I am tempted. I’ve seen a few of the girls in the office with a blue version of this, and so the red would be different. But this is the one I instantly loved; I could see me wearing this over my black office dresses or with black jeans. I love the sleeves which are this season’s look. 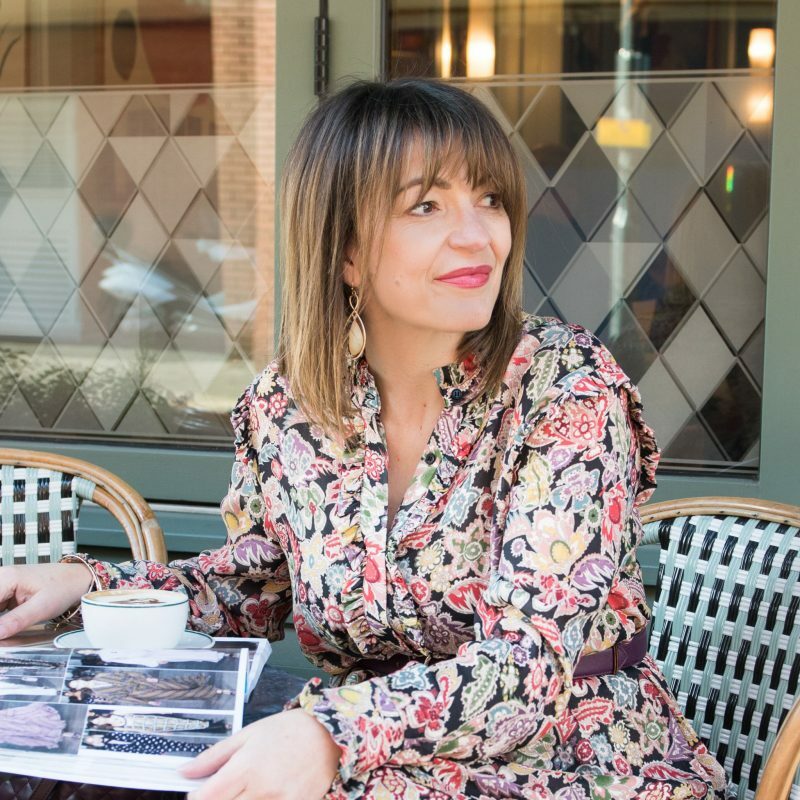 The post Zara Summer Jackets – It’s Sale Time! was on Loved by Lizzi first. Previous Post JUMPSUITS – TAKE THE LEAP! Next Post It’s in the bag!